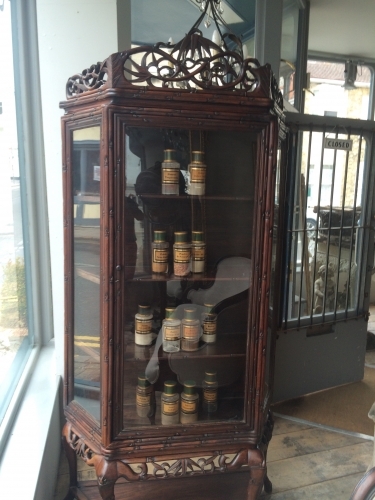 A late Qing dynasty Chinese Padouk wood vitrine display cabinet. In three sections with removable shelves. 197cm high by 99cm wide.